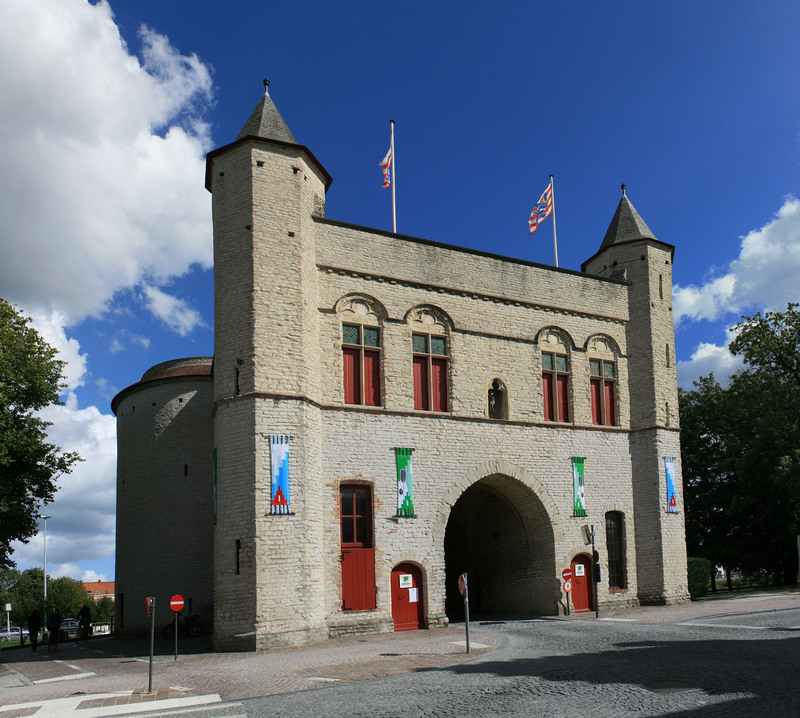 The first Kruispoort gate was built at the same time as the second rampart between 1297 and 1304 only be rebuilt in 1366. Philip van Artevelde destroyed the the second gate on this site when the captured the city with the Ghent militia in 1382. In 1400, still another gate was built here. Only the two heavy towers with their narrow passage and two octagonal turrets were preserved. Holy Roman Emperor Charles V, Napoleon and the German army all entered the city through this gate.